Happy Saturday everyone! Can you believe it is less than a week until Christmas? Today I am sharing a very festive cookie recipe for your holidays. 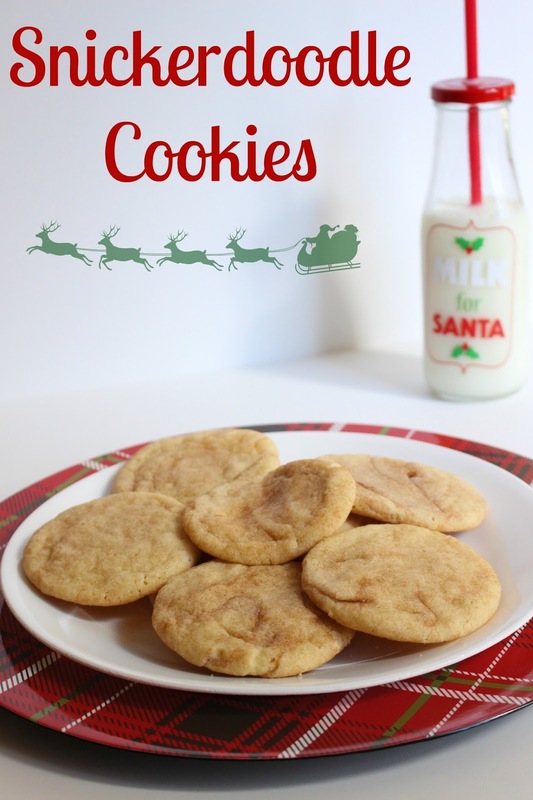 This Snickerdoodle cookie dough can also be used to make other types of cookies. This dough is completely full proof. FINALLY! In a medium bowl or electric mixer combine the shortening and white sugar well. Then stir in the eggs. Once that is complete slowly add the flour, baking soda, vinegar, and salt into the mixer on low speed. In a separate bowl combine the sugar and cinnamon. Ball the dough into little balls and then roll in cinnamon mixture. Flatten the cookie balls onto an unprepared cookie sheet and bake from 8-12 minutes. These don't get brown until they are burnt so keep an eye out and let them cool on a cooling rack as well. Classic sugar cookies are simply the best! Happy Holidays!